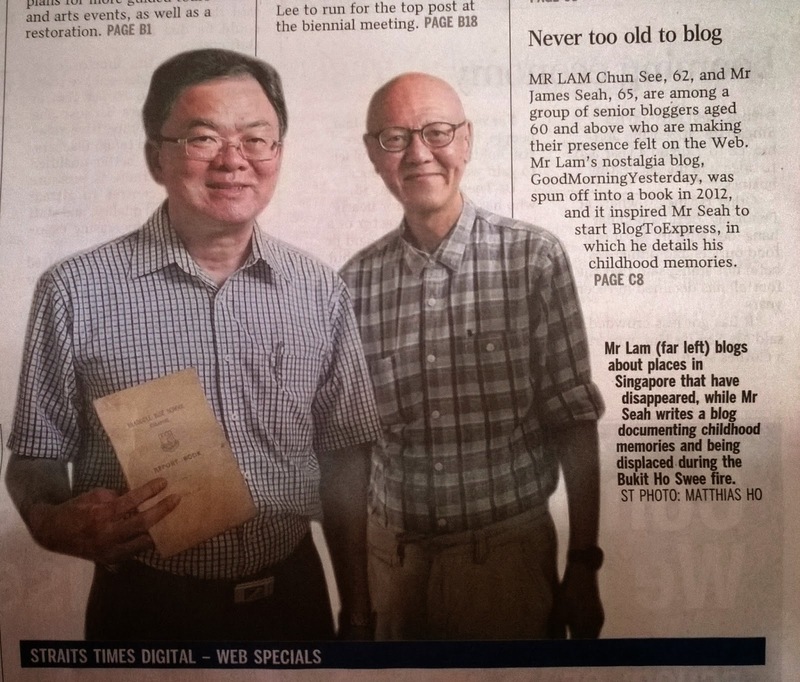 Did you see the article in the Straits Times today, where I was featured together with my fellow senior nostalgia bloggers, Philip Chew, James Seah and Victor Yue? There’s a photo on page A4 of me and James. And do you know where this photo was taken, what’s that thing that I am holding in my hand? Answer. I was holding my primary school report book. The school, as regular readers of my blog, as well as those who have read my book, would know, was the Braddell Rise School. The reporter wanted to take a photo of James and me as a location that could be linked to our fondest memories of the old Singapore. For James, it would be Bukit Ho Swee; whereas, for me, it was my kampong at Lorong Kinchir off Lorong Chuan. Unfortunately, both these places no long exist, and so I suggested we met at Mount Alvernia Hospital and took our photo at the site of the former Braddell Rise School. I told her that I had studied in BRS from 1960 to 1963, and had literally seen the hospital next door sprout from the ground. The BRS buildings are slated for demolition soon to give way for a new wing of the Assisi Hospice. Fortunately, the demolition works had not started yet and so we could sneak in for a photo-shoot. 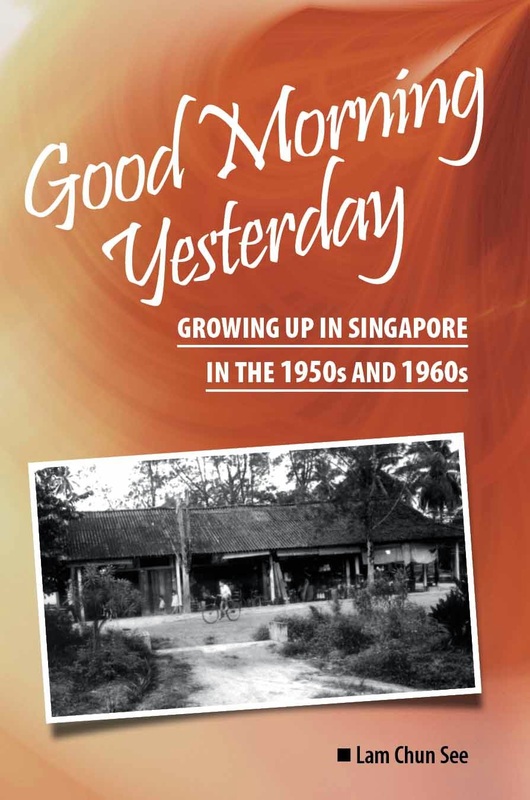 I requested that the report make mention of my book Good Morning Yesterday ….. for obvious reasons. Many people know me to be a blogger, but many do not know that I am also an author; and even fewer people know where to purchase it. I myself am not sure, since it has been two years since the book was released, and many bookstores no longer carry it; but I am quite sure that the Kinokuniya branch Orchard Road does – at least that was what my distributor says. Another place where you can purchase my book, at least for this weekend, is at the 50Plus Expo organized by the Council for Third Age (C3A). The expo will be held from 28th to 30th March at the Suntec City Hall 401-404. 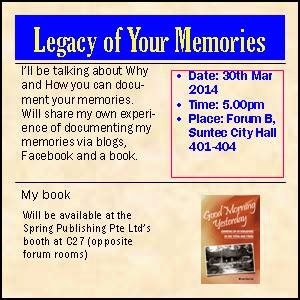 For the 3rd time in a row, I have been invited to speak at the Forum, and so has my friend James Seah. 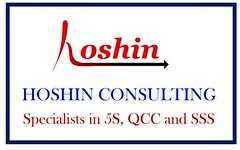 My book will be on sale at the Booth C27 (Spring Publishing Pte Ltd). If you would like to attend the 50Plus Expo, please register at the C3A website. So here again are the details. Last month, I met another of “my new old friends”, Judith Johnson, and her husband, Robert. 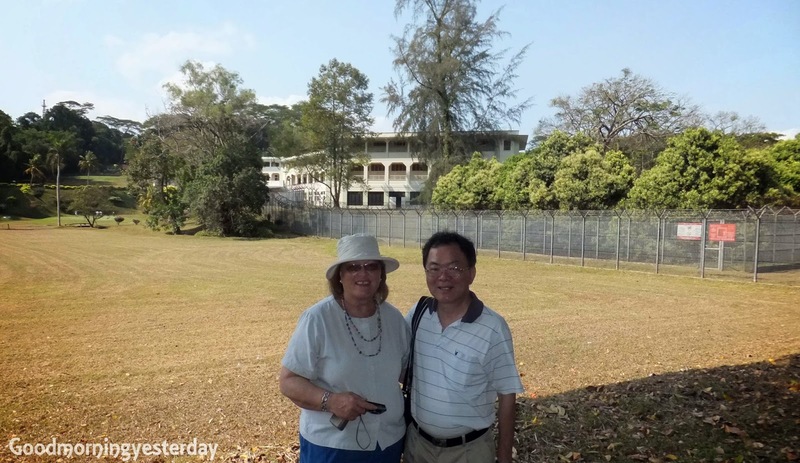 I brought them to see two places that held strong memories of her years in Singapore, the Changi Airbase in Loyang Avenue, where her school, the RAF Changi Grammar School used to be located; and Chiltern Drive when she used to live. She gave me a CD of old photos of Singapore, a few of which were from my former kampong in Lorong Chuan. I have been very busy these past weeks and have not had time to organize them and share them with readers. She also gave me a DVD of her dad’s cine films, segments of which contain scenes of Singapore in the early 1960s. Finally she also gave me a CD containing photos of the Joint Air Traffic Control Centre at Paya Lebar Airport, which her dad helped to set up, to hand over to the relevant organization. Our first stop was the Changi Airbase West in Loyang Avenue. Although she was not able to obtain permission to enter the premises, we were, nevertheless, able to view the buildings close-up from the nearby golf course. She shared with me many stories of her time in this school; especially of how naughty the boys (Brian Mitchell, are you reading this?) used to be. After a short drive around the Changi Village vicinity, we proceeded to visit the house that Judith lived in at 10 Chiltern Drive in Braddell Heights. Judith was fortunate in that the house was still standing, and did not look very different even though it had undergone major renovation. Unfortunately, there was nobody home, and we were not able to enter the compound for a closer look. 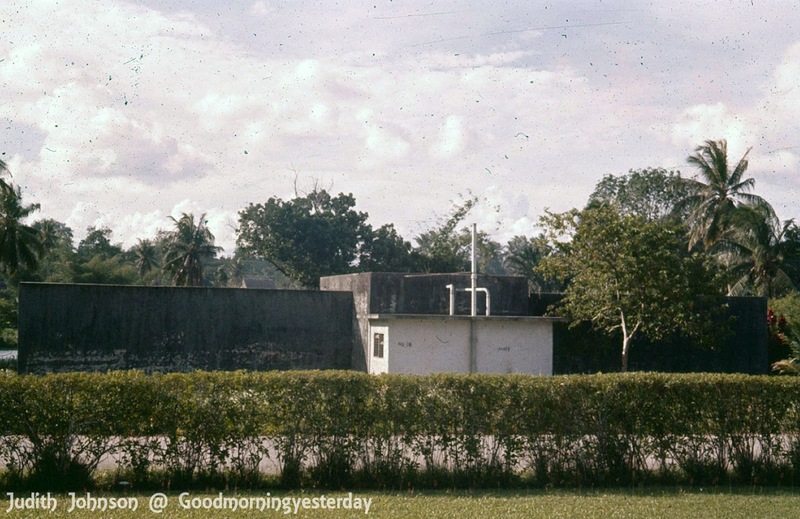 Judith showed me the place opposite her house where there used to be an “ugly square cement structure” from the top of which she could see my kampong. She brought out her iPad and showed me photos that her dad had taken of our kampong. I was a bit disappointed because I could not recognize the place in the photos. As you can see from the map below, it was probably quite a distance from where I stayed. 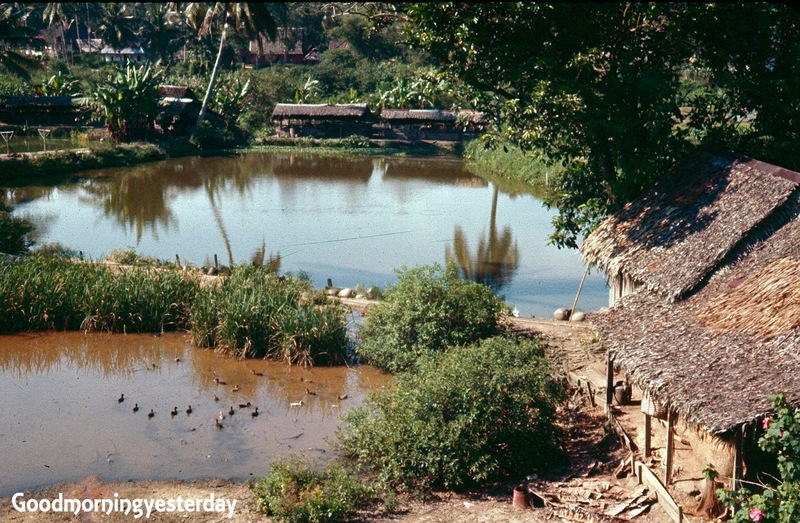 From her description of the farms and ponds that she saw; including the trellises where the gourds were planted (described in detail in my book, Good Morning Yesterday), I concluded that she was referring to the area presently occupied by St Gabriel’s Primary School. 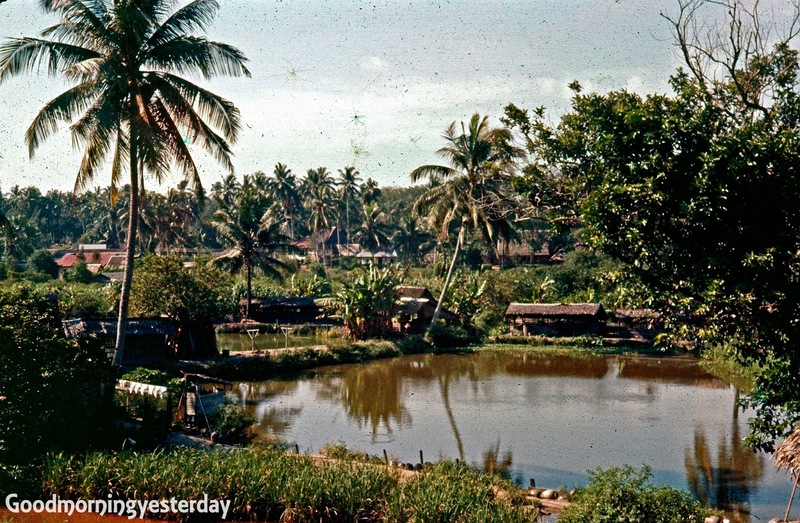 Nevertheless, I am truly thankful to be able to get hold of these precious photos of my kampong. 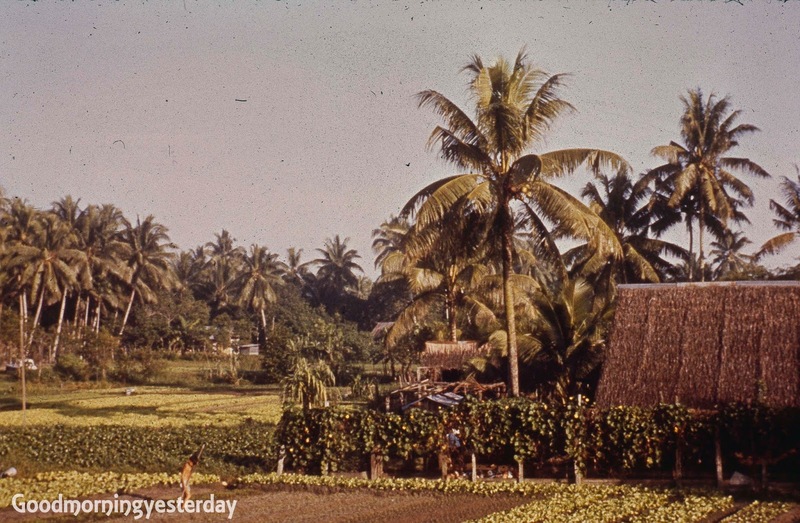 These photos were taken around 1961, which was prior to the construction of the Lorong Chuan in 1963. 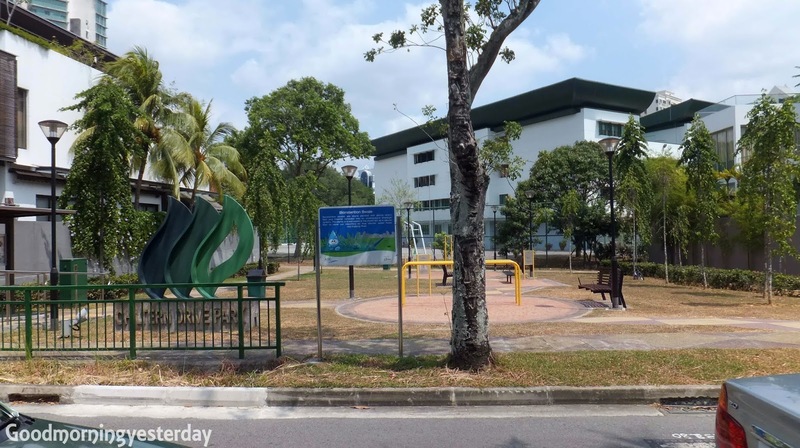 This new Lorong Chuan linked Braddell Road to Serangoon Gardens; and separated my section of our kampong from the section shown in Judith’s photos. This place is now a playground. The building in the background is St Gabriel's School, I believe. 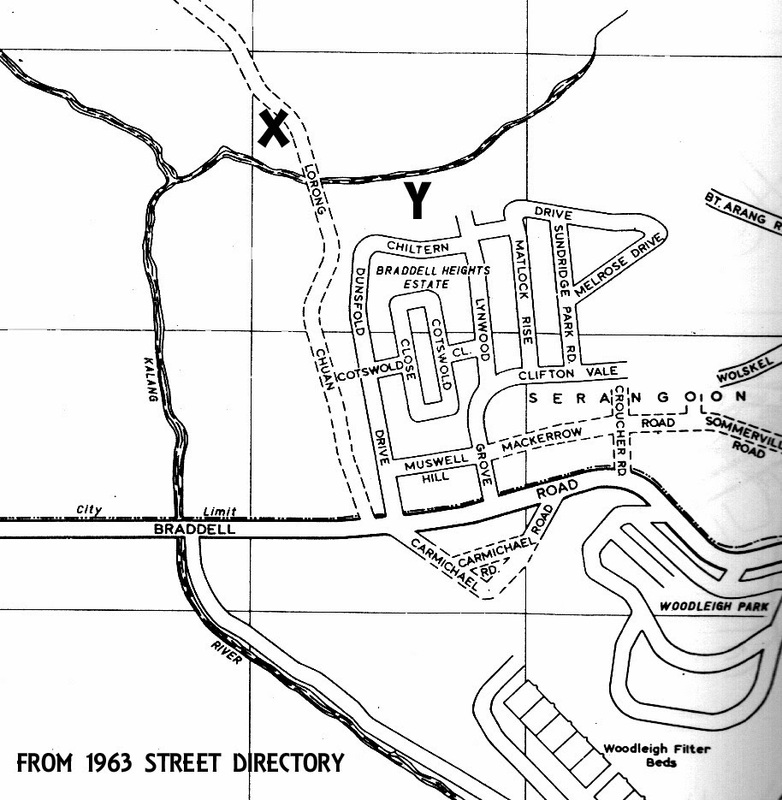 The Lorong Chuan in this 1963 map is a dirt track which we kampong folks referred to as Chui Arm Lor (Water Pipes Rd) in Hokkien. Actually it continues all the way to Upper Thomson Road (refer to my book for details). X marks the spot where my house stood; and Y is the area shown in Judith’s photos. I can tell by referring to an old topographical map of this area which showed the ponds and the streams. 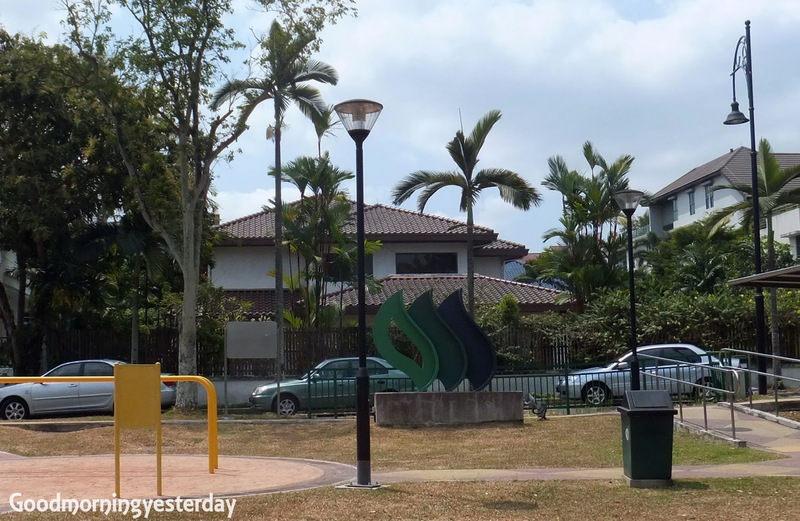 After taking several photos of Chiltern Drive, I brought them to the entrance of the Australian International School at Lorong Chuan and pointed out to the spot where my house probably stood. 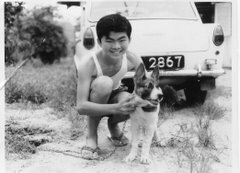 From there we drove to the Saddle Club travelling along stretches of Braddell Road and Thomson Road that Judith would have traveled on her way to her riding lessons. We proceeded for lunch at Toa Payoh before I brought them to their last destination at Geylang East Central where they had arranged to meet the family of her amah, Ah Moy, who unfortunately had passed away just two years ago. I understand that they had quite an emotional meeting. I am glad to have met my “new old friend” Judith Johnson. 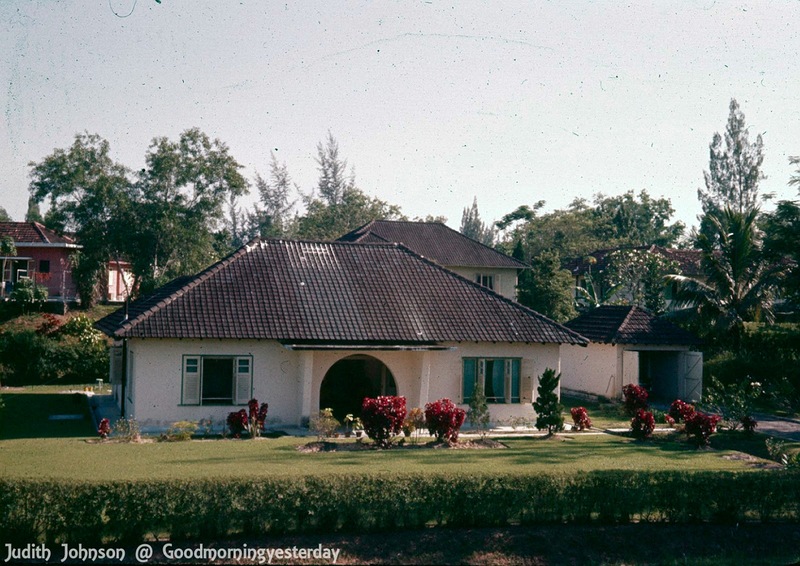 I am glad to have played a small part in helping her recall found memories of her childhood years in our little island; and I have been richly rewarded by her gift of many precious old photos (of very high quality) of the Singapore of my childhood days; including a few of my kampong. I share some of them with you below. I will upload others to the Good Morning Yesterday Facebook Page.